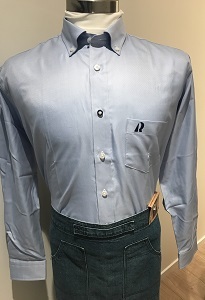 Swedish designer Christian Mobergs nice button down shirt produced in Europe. Fabric woven by a small manufacturer in Italy. One button is in contrasting navy colour. All other buttons mother of pearl. Slim fit. 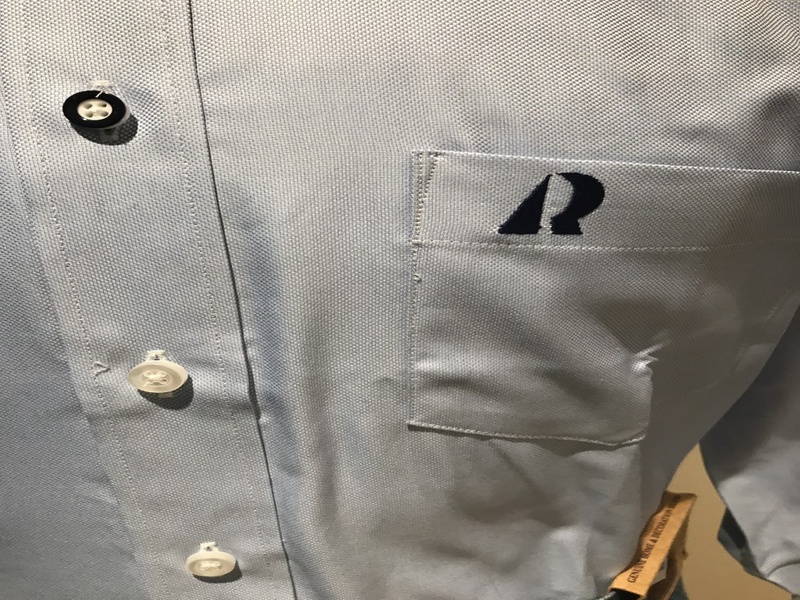 Embroidery HR-Logo on left chest.